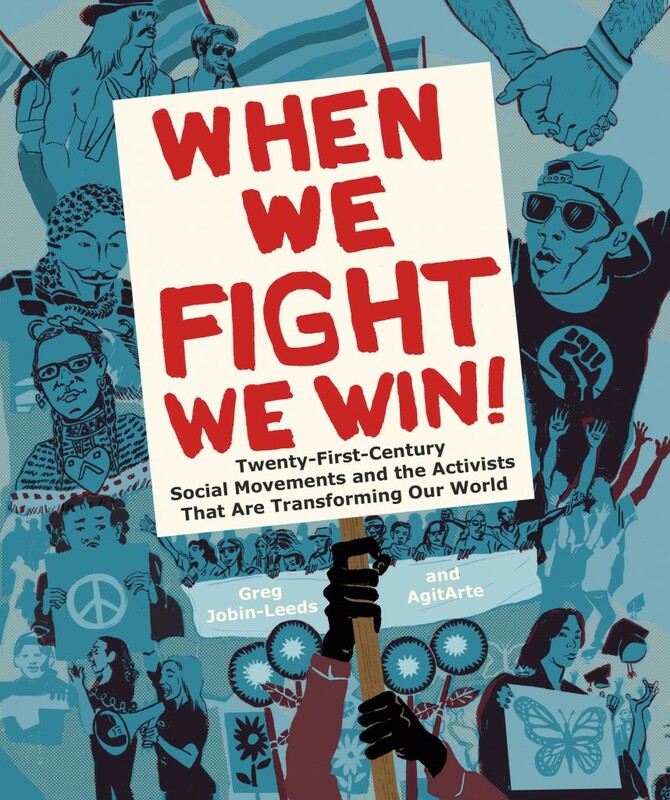 As part of the writing process for When We Fight, We Win!, Greg Jobin-Leeds and AgitArte made a deliberate, extensive effort to bring together the people featured in the book. 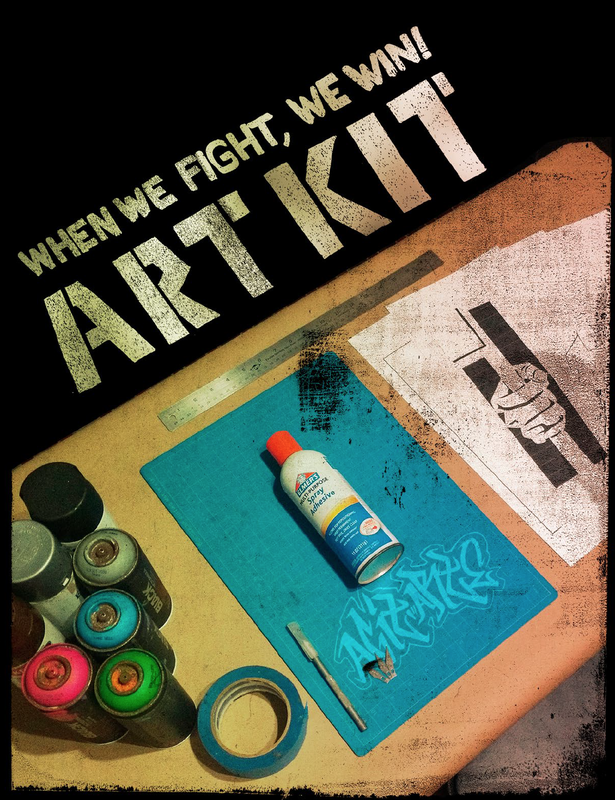 Artists, organizers and cultural workers, participated in the 2016 book tour, initiating dialogues and making connections between the book and their local fights. These activities left participants eager to draw deeper connections, and to collaborate meaning-fully on projects that bolster the movements that their work is a part of. Build solidarity and stand together. 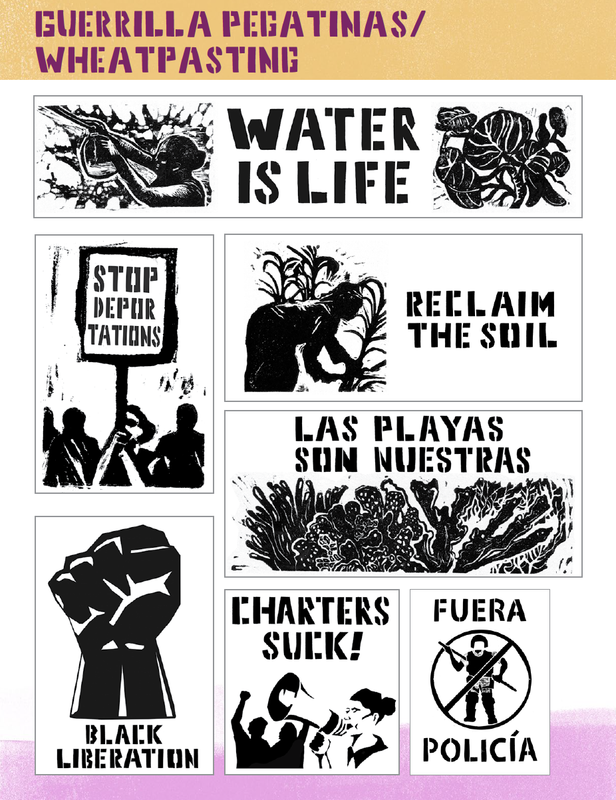 Designed to support our people’s struggles, lift up our people’s victories within the movement and expand the political imagination of our movements, the Art Kit includes best practices for making stencils, banners, reproducible posters, paper masks, and signage for actions, marches and events. 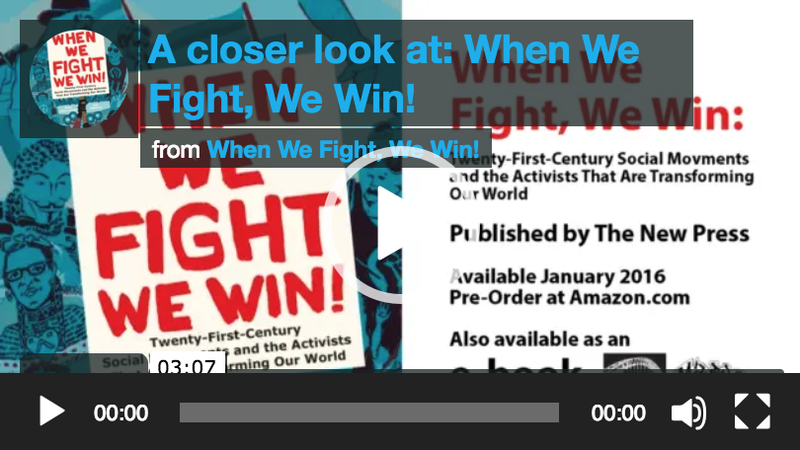 We are delighted to share the creative tools of transformative organizing and hope to inspire others to join the struggle, to build solidarity, to create our own vision of a society sustained by love and liberation…to Fight and WIN! DOWNLOAD THE FREE ARTKIT IN ENGLISH AND ESPAÑOL HERE!